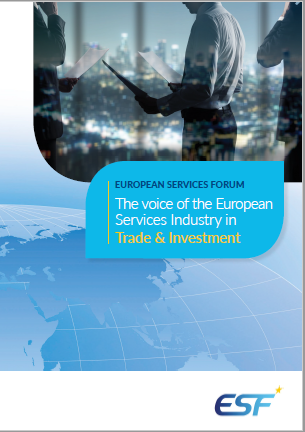 EU-India | "The Voice of the European Services Sectors in International Trade"
Negotiations were launched in June 2007 but were blocked for more than two and a half years, and India is not showing a strong willingness to move on EU priority areas. Previously, EU had made the most ambitious offer yet in mode 4, but India acted in a dismissive manner and requested a doubling of the offer, without which they would not engage. The EU is thus searching for ways to relaunch FTA talks. The fact that India decided to terminate all its BITs, including all of those with 25 EU Member States is making the research for a solution even more important. ESF joined a group of EU Industry associations in a letter addressed to EU Council President Van Rompuy and EU Commission President Barroso on 23rd September 2014 to urge the EU to seek a renewed engagement in the EU-India trade negotiations, which should resume and should focus on addressing a number of issues where progress would improve business conditions and support the investment that India needs. These include i) Removing unjustifiable barriers to entry including burdensome licensing requirements, local content rules and data storage requirements, ii) Improving public procurement rules which tend to favour Indian industry; iii) Institutional reform to improve the ease of doing business including infrastructure bottlenecks, administrative transparency and unpredictable and discriminatory taxation; iv) Lifting restrictions on FDI in a range of sectors, in particular services, and bolstering investment protection; v) Improving the ability of foreign financial institutions to operate in India to improve the overall financing of the economy; vi) Facilitating the movement of services providers including the ability of European companies to expeditiously obtain visas and work permits in India and conversely the ability of highly qualified Indian business personnel to access the EU, etc. You can find the joint letter here. India is a fast-growing economy with a large and skilled workforce. 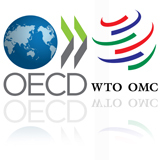 India and the EU have been engaged in negotiations on a trade and investment agreement, and on civil aviation and maritime transport, since June 2007. These negotiations are part of a free trade agreement within the framework of the envisaged EU-India Partnership. Whereas the EU services exports to India accounted for €6.7 billion, in 2007, the EU services imports from India amounted to €5.5 billion, in 2007. India’s growth is a result of the successive deregulation and liberalisation of the Indian economy after the financial crisis, in 1991. Joint Action Plan for EU-India partnership has provided guidelines for this partnership since 1994. Other studies have reinforced the economic potential of an FTA between the EU and India.